MP challenges the Chancellor to stimulate growth in the economy. Home > News > MP challenges the Chancellor to stimulate growth in the economy. 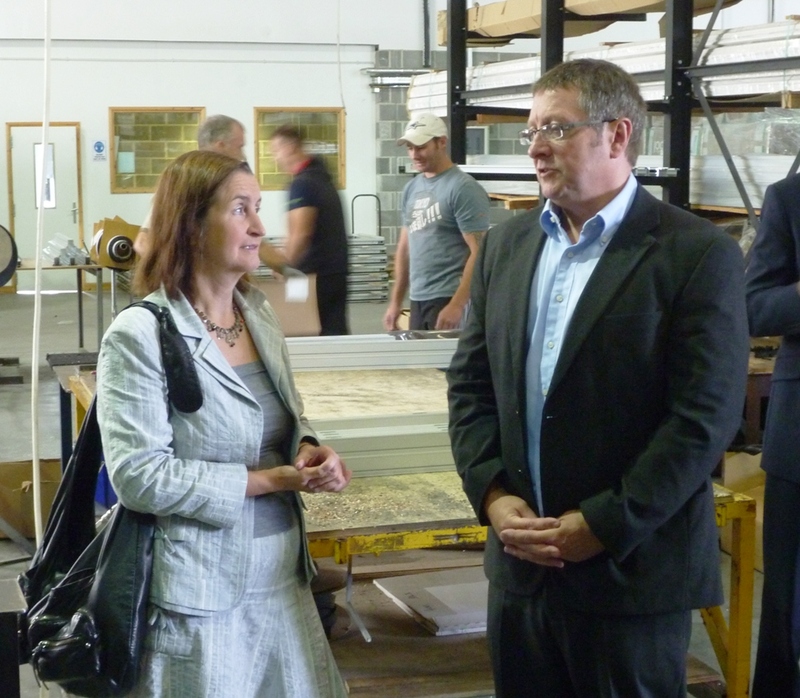 When Parliament was recalled this summer, Nia Griffith MP challenged the Chancellor George Osborne to spell out exactly what he is going to do to stimulate demand and drive growth in the economy, in order to create jobs in the private sector, because many construction products companies like the Dividers Modernfold factory in Dafen which the MP visited recently, are seeing the spending cuts result in a downturn in public procurement contracts, such as work building schools and hospitals, which has been helping to keep them going whilst the private building sector has been virtually on stop for two years, and is showing little sign of picking up.